We are a team of religious professionals and lay leaders whose mission is to liberate the leadership of progressive congregations and related organizations to awaken compassion, transform lives, and bless the world. Our programs encourage congregational and organizational leaders to think creatively and deeply about why their institution is in the world and how they can align their organizational life with their purposes. We work to give congregations and institutions the tools they need to be specific, strategic and accountable in pursuit of their stated ends. Unity Consulting is a program of Unity Church-Unitarian. View Unity Consulting's values, mission and ends. 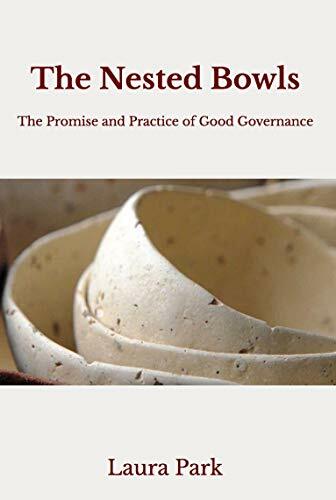 ​Our logo represents our Nested Bowls metaphor of values, mission, and ends, brought alive with the flame of the board's deep and intentional connection with its sources of authority and accountability. Our logo represents the promise and practice of good governance, where board trustees ignite the prophetic imagination of the congregation, and covenant with each other, with the congregation, and the minister to make the vision of the Nested Bowls real. This book distills 10 years of Laura's experience helping congregational boards discern and articulate their congregation's core values, mission, and ends. Knowing your congregation's purpose, the difference it makes in people's lives, makes it far easier to organize to deliver on that promise. Find the paperback or e-book on Amazon or at inSpirit. Find more on the Nested Bowls here on our website. We have recorded webinars available!